Imagine a restaurant where exquisite food and superlative service come as standard and warm handshakes and beaming smiles are all part of the service – welcome to Anoki. 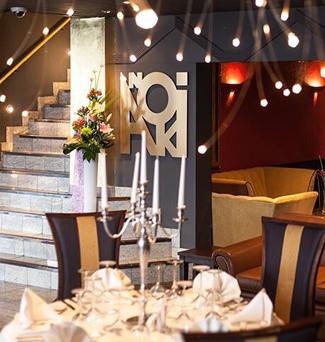 Simply one of the finest and most popular restaurants in the region, Anoki combines sensational food with superlative service and stunning interiors to create an altogether unforgettable dining experience. A world away from the traditional curry house, our restaurants exude opulence, with mirrored stairways, reminiscent of an Eastern palace, lavishly decorated interiors adorned with dramatic artwork and extravagant chandeliers which hang from the domed ceiling and traditionally dressed waiting staff. Our carefully crafted menu offers an authentic insight into traditional Indian cuisine, taken from a rich culinary tradition and created by our award-winning chefs using fresh, locally sourced produce. 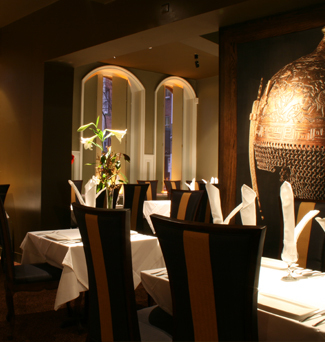 Anoki brings a true taste of the Indian subcontinent – we look forward to welcoming you at our restaurants. A warm welcome awaits you at Anoki, where amazing home-cooked food is served in luxurious surroundings. 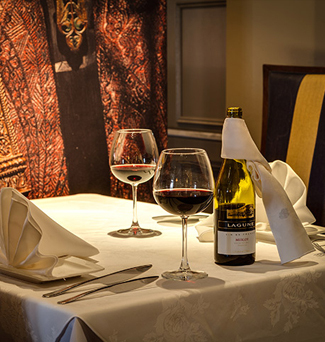 Our menu offers an authentic insight into Indian cooking, taken from a rich and diverse culinary tradition. Each dish is created using the finest ingredients to ensure unique character and flavour - from the lean cuts of melt-in-the-mouth meat, to fresh fish and hand-picked vegetables - all in their own spicy aromatic sauces that promise an explosion of flavour with each bite.